Richard Irwin (Belper, United Kingdom) on 6 April 2007 in Plant & Nature and Portfolio. 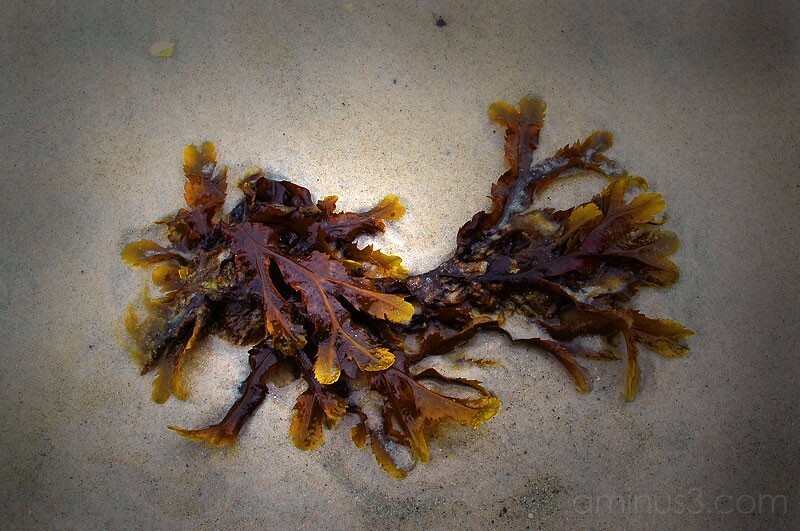 A simple composition of seaweed. Just liked the texture and colour and simplicity. Love the details and the colours and texture of the sand. Very nice! Beautiful composition all the way around! Excelent work! Interesting object here,nice colors and tones,makes it very wonderful ! nice, and simple, good work. The sand makes good contrast with the seaweed. Nice shot!! Simple and elegant, i like it. :) Well done. Nice shot Richard, love the tiones. Beautiful colors and contrast with the sand. Very nice! Lovely work thoughout your site, and this is no exception. I've always loved the look of seaweed, and you've composed the image beautifully. Simple but nice, I like the color and the vignette. I also like the colors and texture, simple and beautiful!